We invite you to join us this Sunday and every Sunday as we share in worship and praise. Our worship periods are designed to meet the spiritual need of all worshippers. Through traditional hymn and gospel music as well as contemporary music and practical messages, we present the ageless truths of God’s Word in a manner that is easy for anyone to understand. 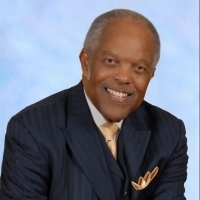 Our Senior Pastor, Dr. J. A. Reed, Jr., preaches an uncompromising Gospel. You can expect that when you leave the worship service, you will know that you have been in the presence of God! On occasion, a guest preacher or one of the associate ministers brings the morning message. Check the website for listing of special events to be abreast of special worship services. You can hear Sunday worship services at KTLV 1220 AM Radio or by live streaming audio at www.ktlv1220.com. Audio and video recordings of each Sunday's worship and other events are available by contacting the church office at 405.232.1621. HANDICAP PARKING: Handicap Parking is available on the South side of the main sanctuary. Passengers may be unloaded between the main sanctuary and the Donald Burns Fellowship Hall (Rev S S Fairly Drive). If no handicap parking spaces are available and you need assistance parking your vehicle, feel free to drive up in the load/unload zone and request assistance from the Hospitality Ministry. PUBLIC PARKING: Public Parking is located East and South of the main sanctuary and West of the Donald Burns Fellowship Hall. Street parking is discouraged, unless necessary due to unavailability of parking spaces in the parking lot. PLEASE DO NOT BLOCK DRIVEWAYS OF THE LOCAL RESIDENTS. RESTRICTED PARKING AREAS: The marked parking spaces North of the main sanctuary are designated Staff Parking. Please do not park in any designated areas unless authorized by security. PLEASE NOTE: If you leave your vehicle unattended in the Fire/Emergency Vehicle or other No Parking zones, it may be towed. The church nursery is located in the Donald Burns Fellowship Hall and is open each Sunday (except 2nd Sundays) for ages 3 - 5. Parents (or a responsible adult) must sign the child(ren) in and out. Activities are also available for these age groups on Wednesday nights during Bible Study. The nursery is normally open for special events.